Coast Raven Design Studio is located at Davis Bay B.C., on the beautiful Sunshine Coast, just north of Vancouver. We have been creating native art since 1970 and now specialize in all forms of top quality woodcarving and hand carved sterling silver and gold jewellery. Our retail gallery and studio workshop are contained within an unique character building along the Sunshine Coast Highway only 15 minutes from the Langdale ferry terminal, and just steps away from the beach. What sets Coast Raven apart and affords us continued success is that we make everything we sell. Our customers save by buying direct from the artists. Personal shopping in our Davis Bay gallery always guarantees our customers receive a discount from our web site's suggested retail prices. We are open to serve in-town visitors, going out-of-town vacationers, and our appreciative local clientelle, from May to February. Orders of $100.00 or more (plus shipping) can be placed by phone, fax or mail, or email, using the web site as a catalogue. Wholesale orders of $200.00 or more (plus shipping) are accepted. Contact us for our wholesale list of prices. When you buy direct from the artists, your retail price is guaranteed to be your customers' best price. We supply internationally to gift shops and galleries. Please advise your guests of this unique opportunity to buy native art at reduced prices and meet the artists. 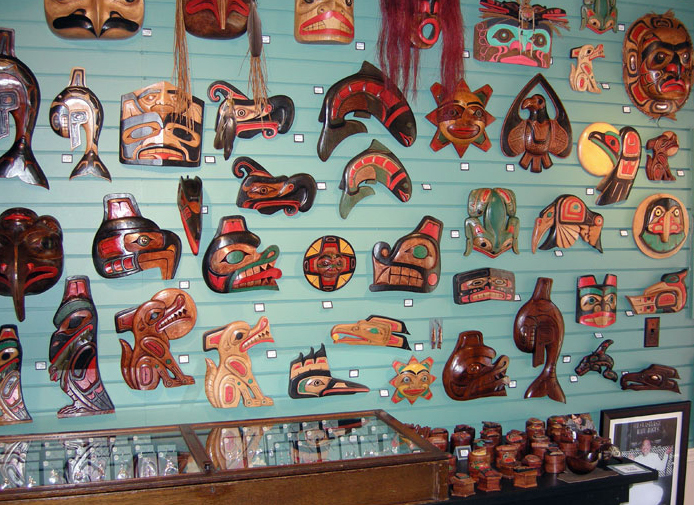 Northwest Coast Native art adds a classic west coast ambience to all interiors. A piece of art makes an everlasting corporate gift or addition to a gift basket. We offer quantity discounts. A gift of art for the home upon completing your sale tells your client you are truly appreciative. A commemorative plaque or trophy can easily be fitted to many of our pieces of art. 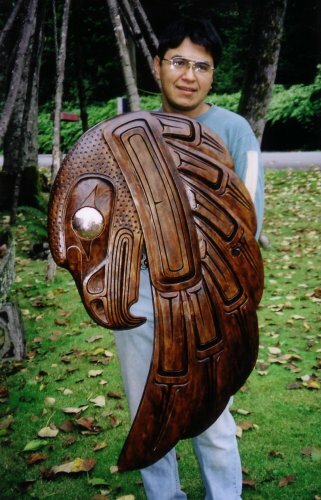 Please think of Coast Raven should your clients have a taste for fine West Coast Native art.